Kingsman director Matthew Vaughn is reportedly looking for heavy-hitters to fill out the cast of the franchise’s next installment. 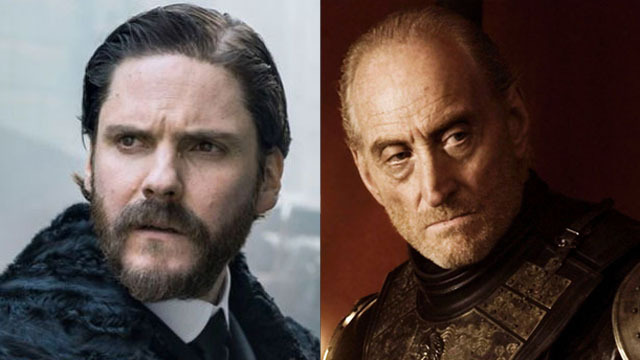 According to Collider, Vaughn has recruited Daniel Brühl (Captain America: Civil War) and Charles Dance (Game of Thrones) to join Kingsman: The Great Game. Additionally, Rhys Ifans has entered talks for a role in the film as well. The Great Game will be a prequel to the main series and depicts the origin of Kingsman during World War I. The earlier setting obviously means that franchise mainstays Colin Firth and Taron Egerton won’t be coming back as Harry Hart and Eggsy Unwin, respectively. However, Vaughn is still planning another entry in the main series that will presumably feature the return of both actors. If earlier reports are accurate, it will be the last film to feature their characters. Vaughn is also developing a TV series set in the Kingsman universe and a spinoff focusing on America’s Statesman organization. Brühl has starred in Inglorious Basterds, Rush, and TNT’s The Alienist. Beyond his stint as Tywin Lannister on Game of Thrones, Dance has had roles in The Imitation Game and Pride and Prejudice and Zombies. He currently appears on the AMC miniseries The Little Drummer Girl and will next be seen in 2019’s Godzilla: King of the Monsters. No details were given about either actor’s role. But if Ifans formally joins the prequel, he’ll be playing “a dangerous and manipulative Russian mystic. The Welsh actor is a veteran of genre films, having appeared in The Amazing Spider-Man and the Harry Potter series. Kingsman: The Great Game starts filming in January 2019. What do you make of the latest casting announcements surrounding the film? Do you have any theories about Dance and Brühl’s characters? Give us your impressions in the comment section below!